Guests travel to Placencia to experience the vintage Caribbean, tranquil, remote fishing-village vibe - totally relaxed. 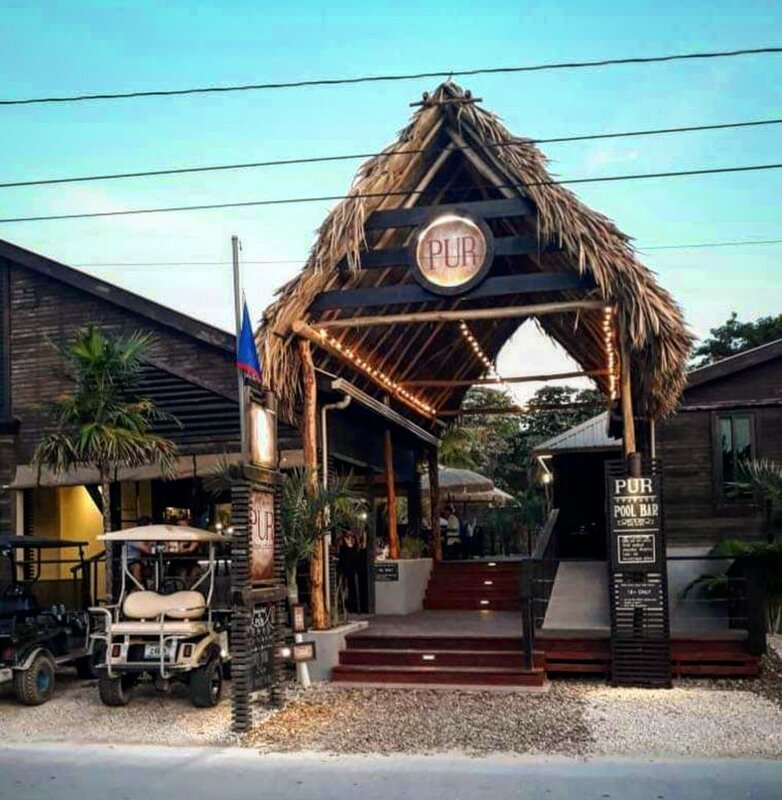 Guests traveling to San Pedro, Ambergris Caye are looking for a Jimmy-Buffett style experience (live music, parties every night, a social/energetic vibe)- on a small, intimate island where you get to know locals and other travelers. These very different tropical experiences are what you can expect from the vibe at PUR Hotels in both locations. You can click on either picture above to be taken to each hotel website for more information. Management teams and staff who are passionate about our guests having an unforgettable Belize experience! Are you looking for a more independent/Airbnb experience, or larger condo rental in the heart of Ambergris Caye? We offer an amazing option in the heart of San Pedro - we have two newly renovated condos in Paradise Villas, where each suite has a private glam kitchen, spa-like bath, cozy sitting area, separate king bedroom with a reclaimed, beachy wood headboard, and tranquil private verandas. 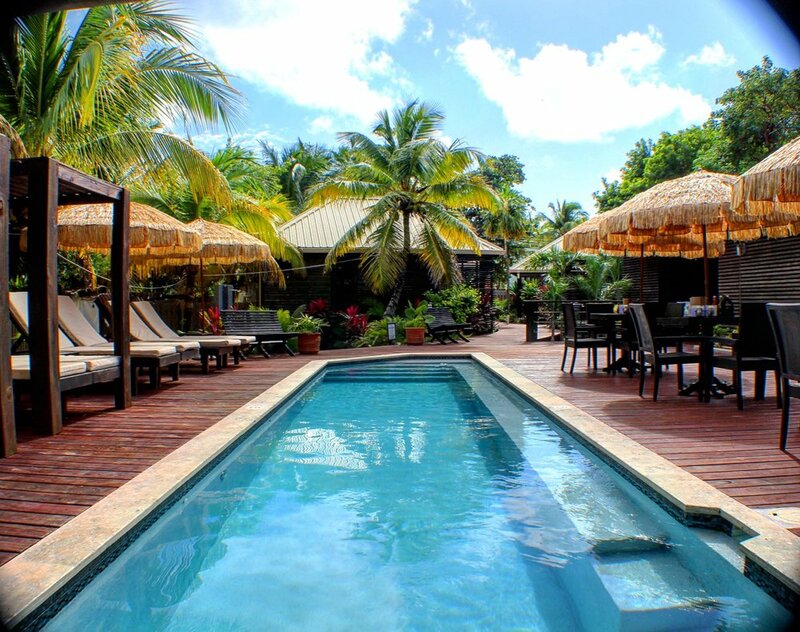 There is a relaxing tropical pool with sea views, and you can walk out to the pier in front and have your coffee on the Caribbean Sea, right next to Palapa Bar. You can walk to everything in town, including the docks, for your excursions.